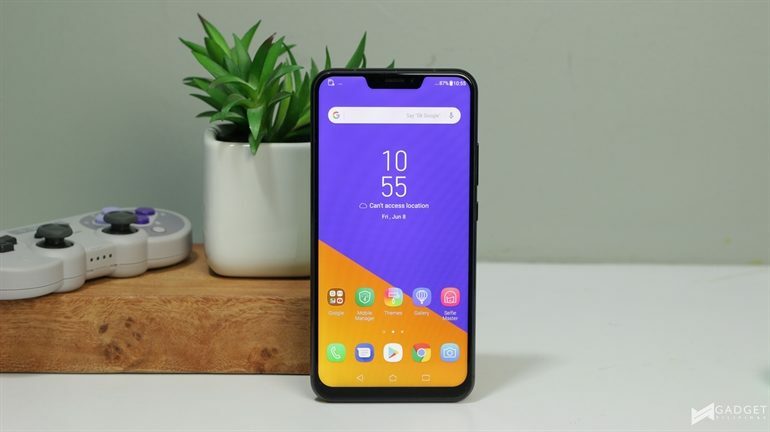 ASUS Zenfone 5z; How to pre-order or buy now! 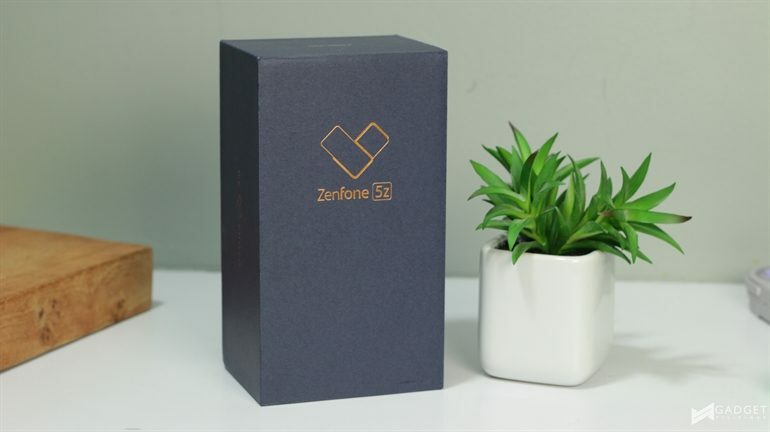 Zenfone 5z’s retail box is similar to what we’ve seen from Zenfone 5. Pun aside, it’s full of zen; and it tries to be as simple as it can be. 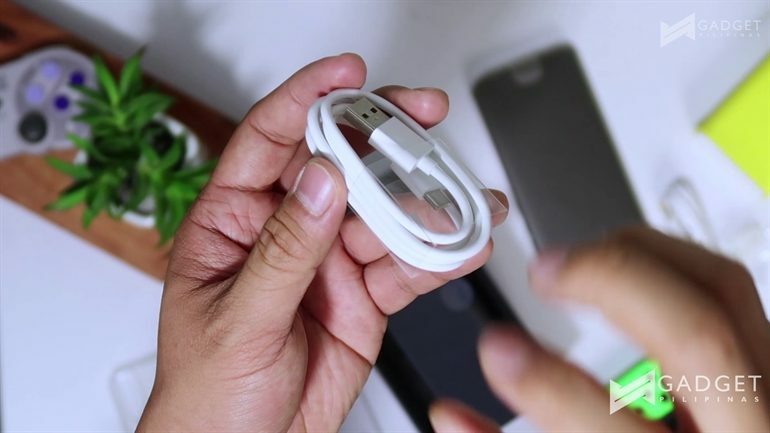 Information about the device can be read at the back, and it’s up to you if you want to spend some time reading some tech jargons that most people don’t care about. 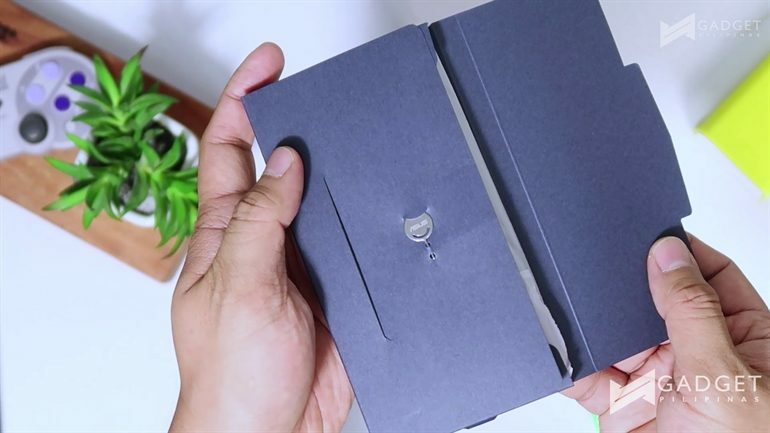 Upon opening the box you will find yet another smaller box, which contains a SIM ejector tool that you will likely lose, manual that you might not read and a silicon case you might not use because you want to flaunt the all-new design of the Zenfone 5z. You will later realize that you definitely need it when your phone gets its first major ding. Moving on to the inner box, which – obviously I’m having a difficult time opening, you will find a few more items: there is an included earphone with 3.5mm headphone jack and extra buds (this would have been nice if ASUS included a ZenEar S instead); a white Type C USB Cable, which will later become yellowish or brownish in color (good luck with that); and a power cable, which supports Qualcomm fast and AI charging. Just to let you know, we won this phone during their launch a few months back. 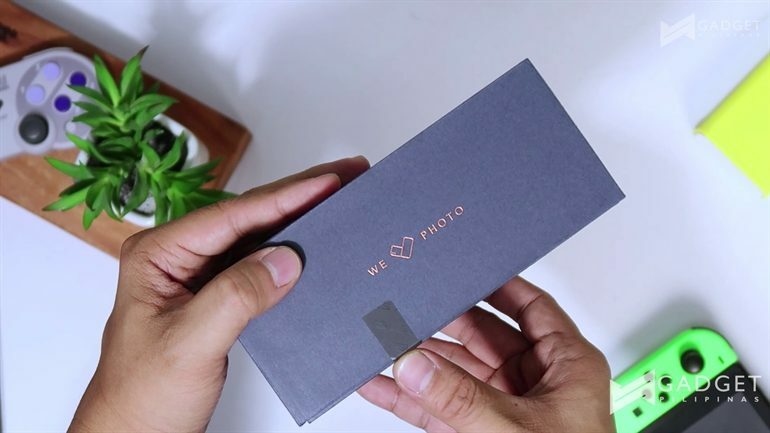 Technically, by the time of this recording and uploading, what you are seeing is the first retail unit of the Zenfone 5z in the Philippines. The device is just as big as the Zenfone 5. It features 6.2 inches display with resolution up to 1080 x 2247 pixels. 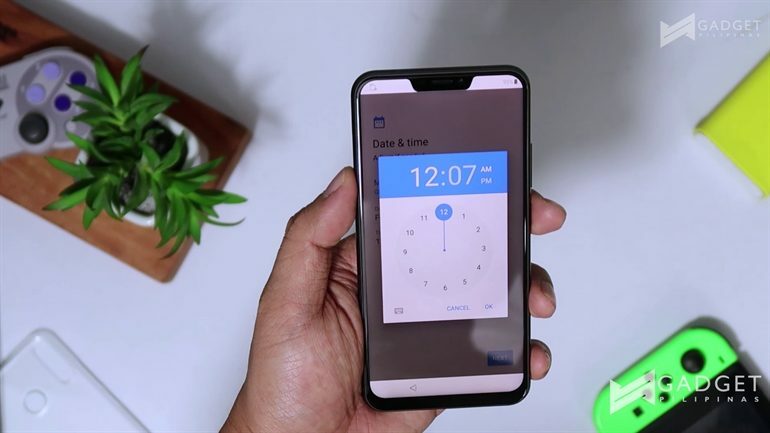 The display has a notch, but that’s something you can hide if you’re not a fan of it. Similar to the Zenfone 5, all the hardware buttons are located on the right side. On the left side, you will find a microphone, and SIM card slot, which can house 2 SIMs and 1 MicroSD. This is one of the flagship phones that does not ditch including an SD card slot. 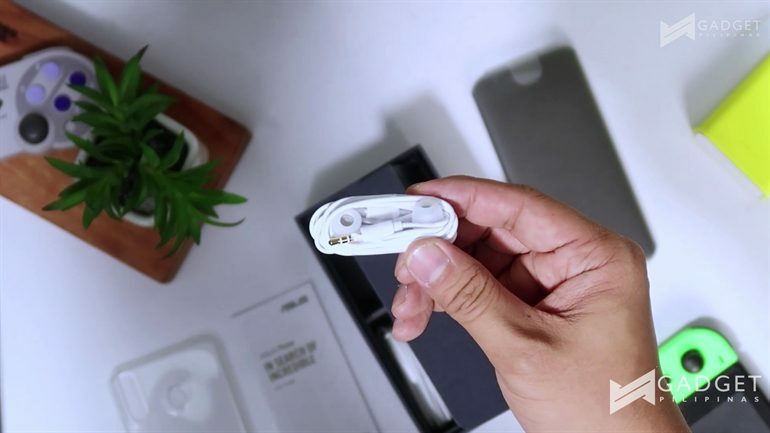 At the bottom of the device, you will see 3.5mm headphone jack connection, USB type port, another microphone and dual speakers. Up top, the smartphone sports yet another microphone – yes, the phone has 3 microphones for advanced noise cancellation purposes. The phone runs on the latest version of Android 8.0 with ZenUI. The new Zen UI looks a lot simpler this time, with a deep emphasis on necessity and speed over functionalities. Cooked inside its custom software is AI-focused features, which optimize the phone’s power consumption, performance, and photography. Speaking of photography, the Zenfone 5z has the same camera specs compared to Zenfone 5. It has 12MP + 8MP dual cameras at the back; and front-facing 8MP camera. Both front and back cameras have EIS, so expect a bit of stabilization when taking videos or photos. Powered by the latest Snapdragon 845 (4 cores with Kryo 385 Gold and 4 cores with Kryo 385 Silver) and 6GB of RAM, the Zenfone 5z we have right now is one of the fastest smartphones, almost at par with our Samsung Galaxy Note 8 and Huawei P20. This smartphone is priced at PhP29,995 in the Philippines. If you haven’t pre-ordered or bought one, you might want to check it out at ASUS concept stores nationwide. Those who pre-order will also receive the following freebies and can claim their units starting June 18, 2018. ASUS Announces Zenfone 5Z Pre-Order Mechanics! it is nice to know na ibinalik na nila yung dating Asus smartphones, affordable at reasonable specs. and dagdag points yung pagbabalik nila ng dedicated memory card slot knowing na napaka rare nito sa mga flagship at kahit sa mid range phones. Oh yes. I also got notified by ASUS. And it was caused by recent heavy rains. They extend their deepest apologies. :) I hope you get your unit soon. Can we buy this via home credit?